Spanish striker Alvaro Morata made a sensational move to Premier League champions Chelsea last week, after almost joining Manchester United, but only for the transfer to stall. The Blues’ new No. 9 has now labelled the move to Stamford Bridge as ‘destiny,’ and he added that it is a dream come true to play under Antonio Conte. 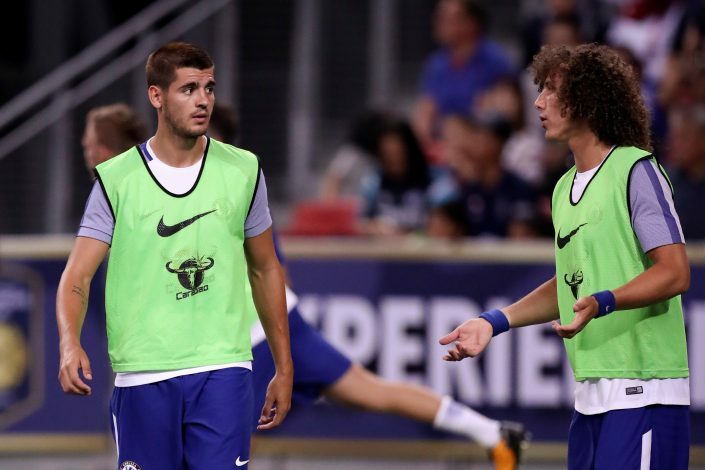 Morata revealed that the Italian manager wanted him in the past, and that is was destiny that put the duo together. “I know Antonio wanted me in the past and I really want to work with Antonio, and finally destiny put us together. I can’t wait to play for him and for Chelsea and to win together,” said the former Juventus striker. Morata enjoyed a successful spell at Real Madrid, winning two Champions League titles with Los Blancos, but saw regular chances hard to come by, as he played second fiddle to Karim Benzema. Morata is now set to replace Diego Costa at Chelsea as their new man upfront, following a £70.6 million move from the Spanish champions. The 24-year-old forward is familiar with Conte and his work despite not playing under him at Juventus, as he joined when the latter had just left. But the youngster has revealed that he really wanted to work with Conte, and knows the system along with tactical prowess the former Italy manager will utilise. “It was disappointing in 2014 when he went to Italy, but I played well and had a good year at Juventus, but I really want to work with this coach and finally I can. I know his work, the staff. I know it is a lot of tactics and I really like this game and I know how to play with this system,” Morata added. Spanish international scored 20 goals for Real last season despite featuring mainly from the bench, and he will now be hungrier than ever to play a pivotal role for the London giants.